We recommend checking out our discussion threads on the Belkin QODE Ultimate Keyboard Case for iPad Air 2 F5L178TTBLK, which address similar problems with connecting and setting up Tablet Keyboards Belkin. The user manual for the Belkin QODE Ultimate Keyboard Case for iPad Air 2 F5L178TTBLK provides necessary instructions for the proper use of the product Computers & Solutions - Computer Peripherals - Tablet Keyboards. This black QODE Ultimate Keyboard Case from Belkin provides an iPad Air 2 with a physical Bluetooth keyboard suitable for comfortable, long-duration typing. Tablet users accustomed to working on a laptop, as well as those who do not wish to have any part of their iPad's screen taken up by a virtual keyboard, can also appreciate this keyboard case's well-spaced and responsive keys. Fast and accurate typing is also promoted by the keyboard design. So you don't have to touch a connected tablet, iPad-specific shortcut keys are also included for seamless device operation. Built-in neodymium magnets secure your tablet into one of three selectable viewing angles so that your iPad's screen is well positioned relative to wherever you are working while on the go. When you don't need the keyboard, it can be folded behind the iPad. When you are not using your iPad, the keyboard case can be closed over the tablet's screen. 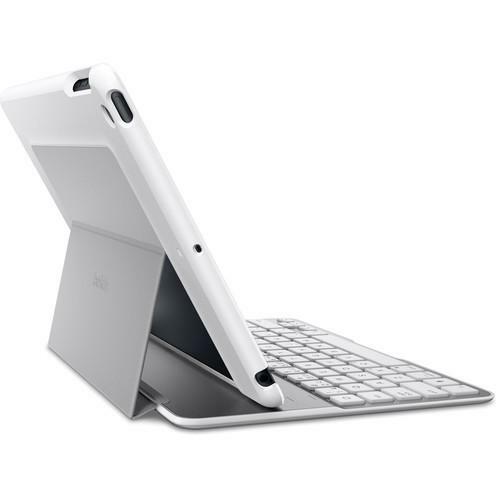 Thin and light aircraft-grade aluminum alloy is used on both sides of the keyboard for durable screen protection. The thin profile of your iPad Air 2 is preserved along with access to all tablet buttons, ports, and cameras. The energy-efficient QODE Ultimate Keyboard Case for iPad Air 2 features automatic on and off switching, which contributes to up to 264 hours of active battery life and 4,300 hours of standby battery life. The battery is built-in and is not user-replaceable. If you own a Belkin tablet keyboards and have a user manual in electronic form, you can upload it to this website using the link on the right side of the screen. Box Dimensions (LxWxH) 11.0 x 8.3 x 0.9"
The user manual for the Belkin QODE Ultimate Keyboard Case for iPad Air 2 F5L178TTBLK can be downloaded in .pdf format if it did not come with your new tablet keyboards, although the seller is required to supply one. It is also quite common that customers throw out the user manual with the box, or put the CD away somewhere and then can’t find it. 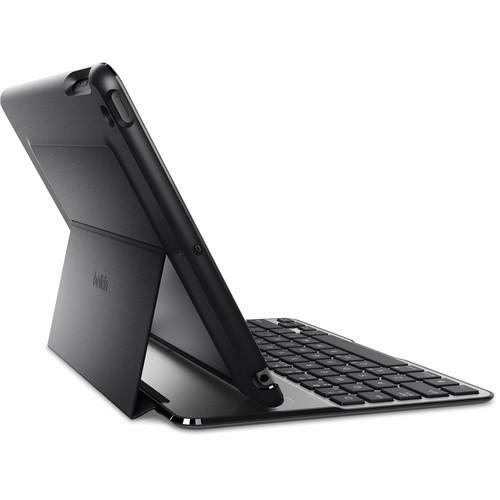 That’s why we and other Belkin users keep a unique electronic library for Belkin tablet keyboardss, where you can use our link to download the user manual for the Belkin QODE Ultimate Keyboard Case for iPad Air 2 F5L178TTBLK. The user manual lists all of the functions of the Belkin QODE Ultimate Keyboard Case for iPad Air 2 F5L178TTBLK, all the basic and advanced features and tells you how to use the tablet keyboards. The manual also provides troubleshooting for common problems. Even greater detail is provided by the service manual, which is not typically shipped with the product, but which can often be downloaded from Belkin service. If you want to help expand our database, you can upload a link to this website to download a user manual or service manual, ideally in .pdf format. These pages are created by you – users of the Belkin QODE Ultimate Keyboard Case for iPad Air 2 F5L178TTBLK. User manuals are also available on the Belkin website under Computers & Solutions - Computer Peripherals - Tablet Keyboards.